Resources to help you get started with Administrative law research. Administrative or regulatory law is comprised of the various rules and actions that are enacted by administrative bodies such as the Executive Office of the President, the Department of Education or the Securities and Exchange Commission. Agencies have different powers depending on whether or not they are considered executive, legislative or independent. The role of administrative agencies is to make rules and enforce or adjudicate them. 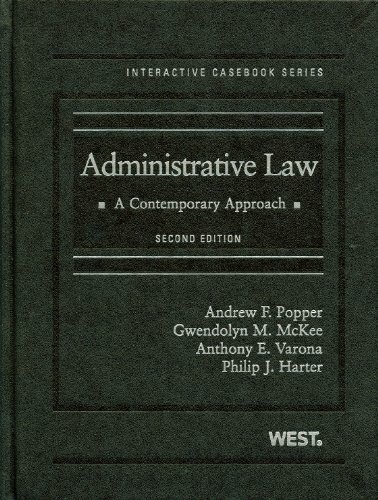 The Administrative Procedure Act (APA), 5 U.S.C. §§551 et. seq. gives the requirements, procedures, standards and procedures for rulemaking, hearings and adjudication. Congress makes laws that give agencies the authority to issue and enforce regulations. Most Federal administrative materials are printed in the Federal Register (FR) and rules are presented in the Code of Federal Regulations (CFR). There are various sources for State administrative materials in both print and electronic format. This guide will give you an overview of the regulatory process as well as resources and tips for starting your administrative law research. Congress passes legislation which gives agencies the authority to implement that legislation by promulgating rules and adjudicating claims and disputes. Agencies have the expertise and personnel to administer federal law. 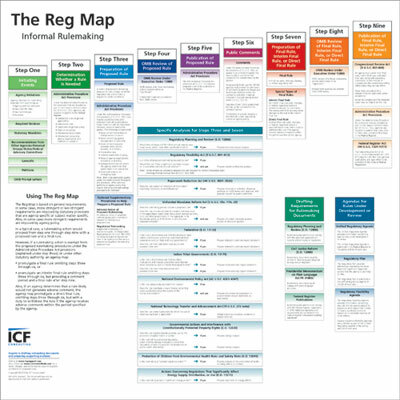 See the Reg Map @ http://www.reginfo.gov/public/reginfo/regmap/regmap.pdf for an overview of the regulatory process. Statutes and amending legislation are sources of conflict at every stage in the regulatory process. Parties may challenge regulations during the rulemaking process or in court after the regulations have been promulgated. Provides that all agency rules will be published in the daily Federal Register and subsequently in the CFR. Established the rulemaking process, administrative procedures, adjudications, hearings, etc. Negotiated Rulemaking Act of 1990, 5 USC § 561, et seq. Unfunded Mandates Reform Act of 1995, 2 USC 1501 et seq. Alternative Dispute Resolution Act of 1998, 28 USC 571 et seq. Written by Professor Jeff Lubbers, this is a ready reference source for practitioners, judges, and academics on significant events within administrative law. 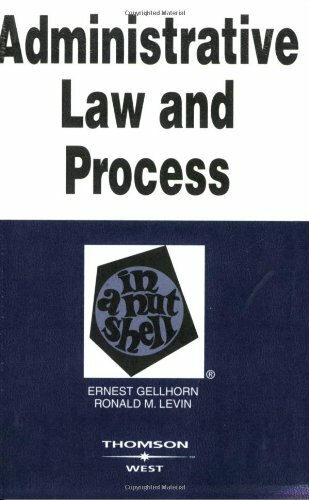 As an annual publication, it also provides a historical chronicle of changes in administrative law and regulatory practice. Each of these chapters is written by experts in their fields.